This freshwater set would make a great gift for any occasion! 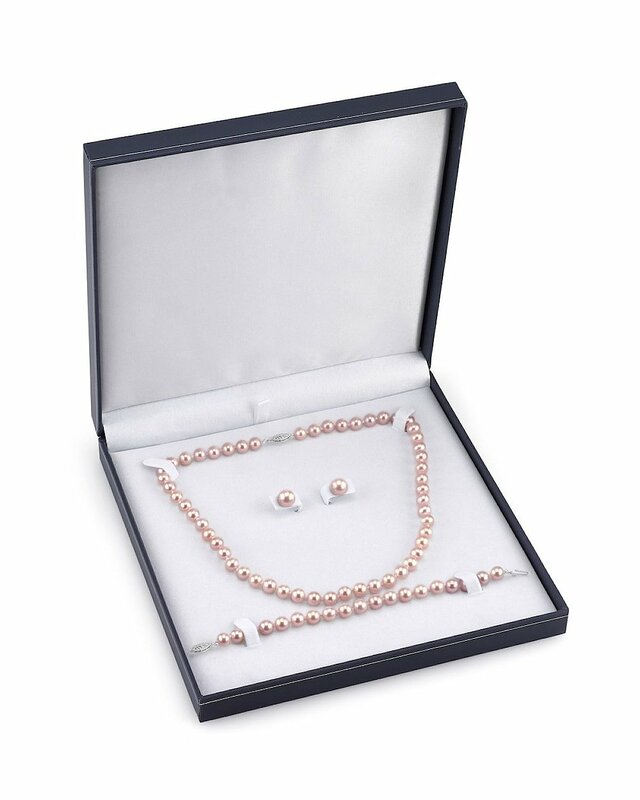 This full set includes 7-8mm pink Freshwater Pearl Necklace, bracelet, and stud earrings. 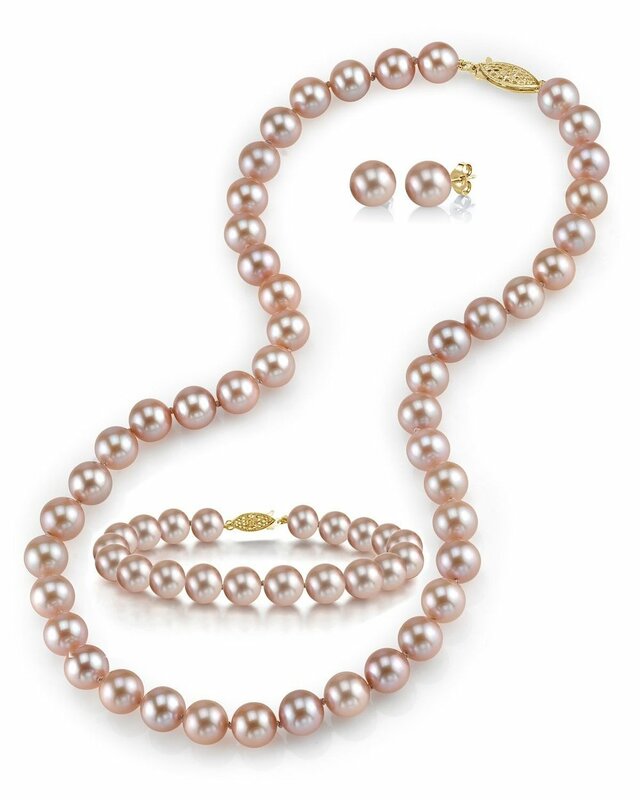 This pearl set is available in either AAA or AAAA quality. Very nice! Christmas gift for my wife! My wife loves the pearls. What is warranty on your products? I Look forward to buying from you again. Stunning. I ordered the pink pearl set and she loved them.